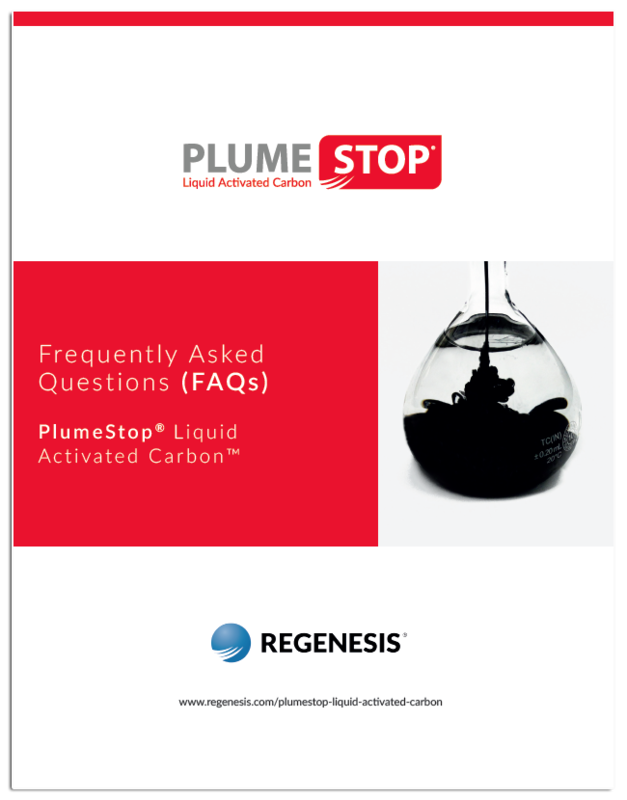 We have compiled a list of the most common questions we receive about PlumeStop Liquid Activated Carbon and answered them in this easy-to-use, downloadable FAQ guide. Topics include how the technology works, contaminants addressed, performance, application, and guidelines for combined remedies approaches. The remediation experts in the REGENESIS Research and Development department, Technical Design Team, and Remediation Services (RRS) division have provided answers to many questions in this PlumeStop Frequently Asked Questions document. Please access the FAQs by clicking the link below.